Most curlies have a love-hate relationship with shampoo so many are leery of even considering the notion of using a clarifying shampoo despite its wonderful uses. Clarifying shampoos work harder than regular shampoos and are necessary when you have severe build-up of products, dirt, pollutants, or minerals from hard water. They are necessary even if not for regular clarifying and sometimes we need to be reminded of that. Curly hair is fragile and prone to tangles so many of us have forsaken sulfate shampoos, due to how our hair behaves after using it, in exchange for botanical shampoos that tend to be gentler to our tresses. Despite our need to keep some oils and moisture in our strands, we still may need a clarifying shampoo from time to time, especially if you have been using heavier product. With the warmer weather approaching, it’s essential to use them after swimming in the pool and the ocean. There are telltale signs when a clarifying shampoo, mud wash, or ACV rinse is necessary and by not listening to them you will be doing more harm than good. Whether wet or dry there should never be a film (dull or not) on your hair. That’s a residue of some kind and it means your hair is not clean. Curly hair does not have the same shine as straight hair because it’s harder for light to reflect off of it and sparkle. However, it can have sheen and it does not have to look dull. So, if you notice dullness, especially accompanied by a film, you need something a little stronger to get rid of it. Co-washing has saved many curlies from frequent tangles and dry tresses. It’s no fun having dry hair and co-washing can minimize that with the botanical conditioners and water in the ingredients. Sometimes there is a need for a clarifying shampoo when co-washing is not getting the job done and you still feel the product, dirt, or residue in your tresses. Read more on Co-Washing: Is Your Conditioner Good Enough? Often we feel when a product is no longer giving us that same quality, we have been accustomed to that it is no longer working for us. That’s not always the case and merely changing up with a clarifying wash will fix the problem. Sometimes a simple task like washing with a shampoo will fix the problem and before you go out and buy a ton of new products that may or may not work better, make sure it’s not just time to clarify. If you are against all things shampoo, read more on The Scoop on Vinegar. If you are convinced that your hair has become accustomed to certain products, read Does Hair Build Tolerance to Products? 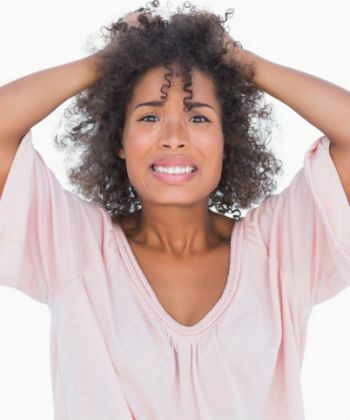 Dandruff, flaky scalp, or more serious ailments need more than just moisture from your weekly co-washing. Many clarifying shampoos use tea tree oil, peppermint oil, or eucalyptus oil for their cleansing anti-bacterial properties that fight scalp problems. They also have surfactants that will remove all the dirt and oil that may be harboring the environment for your scalp issues. Try a botanical clarifying shampoo before trying a medicated one to see if they can fix your problems without the use of harsher ingredients. Tip: To help lift the dead skin and residue from the wash to avoid using shampoo twice, try a DIY scalp scrub. Also, check out 10 Products for a Sensitive Scalp. Listening to your hair is essential in keeping it healthy, but knowing what your curls look like when they are healthy and happy is just as important. 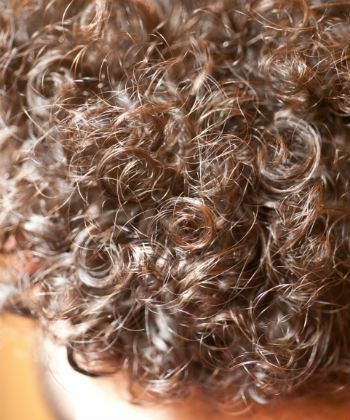 Believe it or not but the look of your curls will let you know if something is amiss. 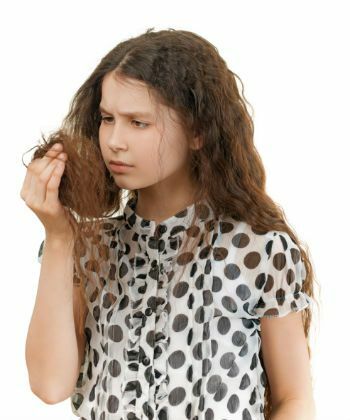 Limp, weak, or wiry curls aren’t always due to damage. Sometimes they just need a pick me up with a clarifying shampoo to bring them back to life. Allowing your tresses to reenergize from the essential oils and nutrients will revive your strands and the curls will bounce back. Check out these Top 20 Clarifying Shampoos for a fresh start!